It’s official; food gardening is the hottest trend in home gardening right now, for several reasons. Obviously the economy has a lot of us looking for ways to reduce our grocery bills and growing your own can save big money compared to grocery store prices. In addition, we want to know that the food we’re putting in our bodies is as healthy as possible. And the best part is, homegrown food simply tastes better than anything you can buy at the store. If you’re like the other 21 million people in North America who will be starting a vegetable garden this year for the first time, chances are, a few time-tested tips will come in handy to ensure success. Even seasoned veterans don’t tire of being reminded of the most essential steps to a bountiful garden. A home vegetable garden is easy to start and doesn’t require as much effort as one might think to keep it growing strong. Following a few simple steps will ensure you’re enjoying the fruits of your labor in no time. Most vegetable plants do best in full sun. Find a location that gets at least six hours of it each day if possible. In order to provide the most sun exposure to all your plants, place the tallest ones, such as corn, indeterminate tomatoes or pole beans on the north or west side so they do not shade the smaller plants. The best soil suitable for vegetables includes lots of compost and organic matter such as composted leaves and ground or shredded, aged bark. Whatever you’re starting with, incorporate enough organic material so that the amended soil is neither sandy nor compacted. When the mix is right, it will bind together when you squeeze it but breaks apart easily when disturbed. This soil is full of living microorganisms that help feed your plants. Water will be sufficiently retained and yet won’t saturate the soil either. For most vegetable plants, one inch of water per week, which includes any natural rainfall, is adequate . The most efficient and productive way to irrigate is by using soaker hoses and drip lines. These deliver water slowly, on target allowing roots time to absorb the moisture and soil to adequately hydrate and helps keep foliage dry. Wet foliage for extended periods can promote diseases. Automatic timers are a great way to take the effort and worry out of this all important step. Add a three-inch layer of any organic mulch around your plants and over the irrigation lines if possible. Mulch will insulate the soil, helping to keep it cooler in summer and warmer in winter. It also helps retain moisture, suppress weeds and acts as a protective barrier from diseases splashing up onto the plants from the soil. And besides, mulch looks great in the garden. Knowing the source of your mulch is as important as using it. Especially in a vegetable garden. Some mulches can contain unacceptable amounts of harmful chemicals. Although there is no such certification for bulk mulch as yet the non-profit organization, The Mulch and Soil Council, certifies bagged mulches and soils to be free of any harmful ingredients. Look for their seal on the bag or ask your bulk mulch supplier if they know the source of their mulch. 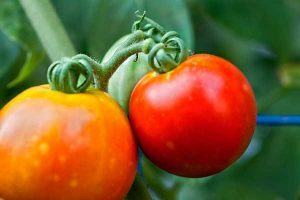 Although pests are usually a given at some point in any vegetable garden, by exercising patience, nature will usually take care of the problem. After all, of all the insects in your garden only about 3% are actually harmful pests. As long as you practice the steps mentioned so far, you’ve already taken adequate measures to promote the growth of healthy plants which are better able to stand up to potential pest invasions. If you must resort to insecticides, apply them responsibly! That means only late in the day or evening and then only when necessary. Never apply pesticides in the morning when pollinators and beneficial insects are most active. Otherwise, you’ll likely kill them as well. I believe it is best to not use chemicals in a food garden, of all places! Instead, focus on growing healthy plants with great soil and sunny conditions and let nature take its course. Synthetic and even many organic/natural pesticides are non-selective meaning they will kill beneficial insects too. Too much fertilizer, especially nitrogen (the first number on the fertilizer package) can promote plenty of lush green growth at the expense of less fruit and a smaller harvest. Excessive fertilizer can also be harmful to your plants and the soil. Instead, add as much organic compost as possible, up to about 20% of the total soil makeup. Incorporate it into the rest of the soil and you’ll be supplying your plants with the nutrients they need to thrive naturally. In other words, feed the soil and let the soil feed the plants. If you put into practice what I’ve suggested above, you’ll get your garden off to the right start and set it up for a fruitful season. Preparation is key with the reward being a healthier, more productive garden and fresh food that tastes better than anything you can buy in the store. What could be better than that? Interesting article Joe! What are your thoughts on different plants requiring different pH levels in the soil? Is it okay/recommended to plant different types of veggies in the same space? compost is best. Beyond that they should all thrive. Happy gardening. That’s good to know that too much fertilizer can be a bad thing. It can increase growth at the expense of fruit. I guess that being valuable would depend on the type of garden. I didn’t realize that there were so many benefits to using mulch on your garden, such as suppressing weeds, and retaining moisture. I know that my mom likes to put the grass clippings on her garden during the spring and fall months. She also puts manure on it right before the beginning of summer. To this day, I have never seen her have a bad garden. Thanks for the tip that most vegetables do their best in full sun. You also said that the best soil for veggies has a lot of compost and organic matter. I think it’s important to choose a nursery that specializes in plants that are native to that area. Thanks for the tip on being careful with fertilizer! I didn’t realize that it causes more greenery but less fruit. That’s really interesting because it causes you to think at first that it’s helping the plant to grow, but in the end, you don’t get the results you were expecting. I’m planning on trying out some fertilizer products next year, but I’ll be sure to go easy with it! Great article Joe! I like how you mentioned drip lines for watering. I recently installed a series of them in my garden and they have been a huge time saver, especially considering you can set them to a timer. Over the past few months I’ve seen them mentioned more and more in articles and everyone is preaching their benefits. A few years ago, I had a small kitchen garden for growing fresh vegetables for my consumption. According to me, it was doing well until I visited a neighbour’s garden. I later realized that my soil had a problem and did not have the required tilth. I added some compost and after a while, yield increased contrary to my expectations. I totally agree with you when you say it’s all about the soil, especially when it comes to adding compost. I wish I had come across this article earlier enough. This is Amazing my daughter and I are working on a garden together and both are learning here together to thank you Deni Shreffler Kingman Az. After many years of what I think is below average yields in my organic vegetable garden, I finally had a soil test done, and it showed pretty good, with the exception of nitrogen. I find that odd, as I generally have super lush green growth, with little yield. I know your article is dated a bit, but wonder if you have any suggestions. Derek, unless you are replacing nutrients, once they’re depleted, they’re gone. While nitrogen is the easiest nutrient to get back in the soil, it’s also the one most consumed. So it looks like it just needs to be replenished. In regards to your comment about lush green growth but below average yields, that is a classic description of too much nitrogen in the soil ironically. So in season’s past, perhaps this was the case. It certainly would explain both! Also make sure you still are getting plenty of sunlight. Eight hours is needed for maximum yields. And don’t ignore feeding your soil a healthy diet of compost and organic matter a couple times each year. That’s all I do and I get fabulous yields and lush growth on everything in the garden. Good luck Derek. If I were to grow some flowers here and there in my garden in order to attract bees and other insects, will this benefit my veggies?? anything you can do to attract pollinators to you garden will benefit your veggies Warren. Plant flowers and enjoy the abundance. Hi Leslie. The best thing I can offer is an e-Book I put together that will tell you almost everything you need to know to create a healthy, productive garden. Actually there is no such thing as a truly “perfect” garden, and honestly you shouldn’t strive for such. It just creates unnecessary frustration. But as long as you are always learning, even from your mistakes, and there WILL be mistakes, it’s okay. Gardening is not about perfection, it’s about progress. Open this link and you will find a great resource of information to help you with what you wanted to know. Good luck! I am setting up a raises garden bed and wondering what is the best soil mix to put together? 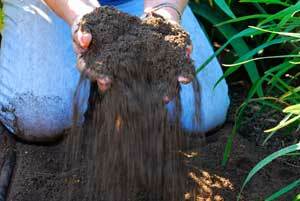 I have topsoil garden soil,peat moss on hand what else do I need and what ration do i go for?